1. The male seahorse carries the babies - 2000 at a time! If two seahorses are pregnant, how many babies do they have between them? 2. Ten moon jellies drift with the tide. A sea turtle eats three moon jellies; what fraction are left? 3. 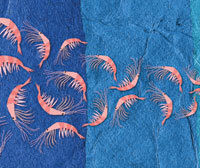 Eight kicking krill swim in a circle. A hungry cod eats a quarter of the krill, how many are left? 4. A squid has 8 legs. If six squid swim in a group, how many legs do they have between them? 5. Five cod swim in the kelp. 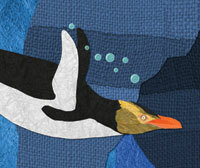 A hungry penguin eats one; what percent of the cod are left? 6. Three kekeno each weigh 330 pounds. How much do they weigh in all? 7. A sperm whale can hold its breath for 90 minutes. There are 60 minutes in an hour. How many hours can a sperm whale hold its breath (in decimal form)? 8. 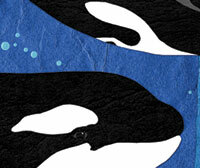 There are 40 orcas in a pod. If one fifth of the pod leaves to chase some fish, how many swim away? 9. Ten fur seals see an orca and try to swim away. 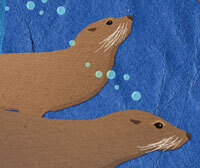 If the orca eats one, what fraction of the fur seals escaped? 10. There are only 7,000 Hector's dolphins in the world. Half of all the Hector's dolphins is how many dolphins?